Nathan Westling had a successful career as a female model and now may break new ground for trans men. 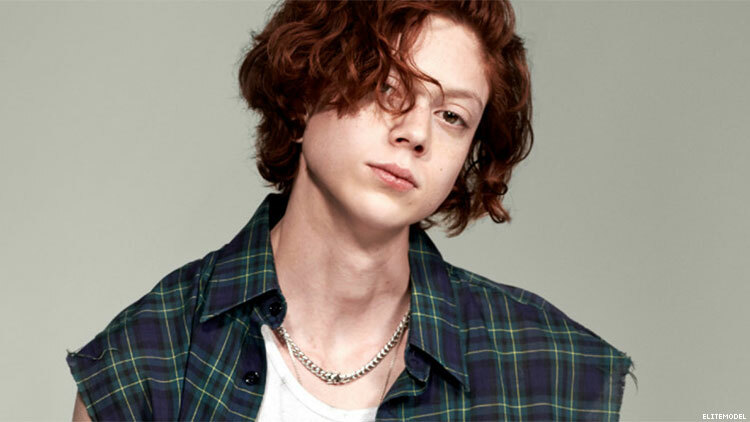 After having worked with brands like Louis Vuitton, Saint Laurent, Versace, and Prada as a model in women’s fashion, Nathan Westling has come out as a trans man in an interview with CNN Style. "I (have) this vivid memory of me being on the playground in preschool, talking to the girls and feeling completely out of place and not fitting into what they were thinking about, talking about, how their body language was or anything like that, and then having the same conversation with one of my guy friends and it completely clicking," Westling told CNN of growing up in Scottsdale, Arizona. "That was the initial thing (that sparked my questions about gender), but as time progressed and we got older, it was even more apparent when puberty hit." But now, at 22, those questions have been answered. Westling got his start in fashion at the urging of his mother at the age of 16. He made his high fashion debut at a Marc Jacobs runway show in 2013 and has since built an impressive career, appearing in six international editions of Vogue, and in projects for the likes of Chanel, Alexander McQueen, and more. But last April he began to address his questions around his gender. "Working as a model, you know, a lot of people ask, 'Did that screw with you? Did that hurt you?'" he said. "[Modeling] was cool to me because I've always been playing a character, a persona, my whole life. So to be able to be put in all this different hair and makeup, I was able to discover myself as well, and see myself as so many different things, to really know that this is who I should be and the path I should take." In October, he took a break from fashion in order to pursue his transition, and has been on hormones for six months. The announcement adds Westling to a long line of trans models who have worked in fashion since the 1960s at least. Until 2010, many of those models (like April Ashley, Tracey Norman, and Caroline Cossey) saw their biggest successes before being outed as trans. But since then, quite a number of models have risen through the ranks, starting with Lea T and Carol Marra, but going on to include Ines Rau, Andreja Pejic, Valentina Sampaio, Leyna Bloom, and many more. The known trans male models comprise a much shorter list. Westling’s name comes as a major addition to a lineup that includes the likes of Benjamin Melzer, Laith Ashley, Casil McArthur, and Aydian Dowling. In 2018, Chella Man became the first trans model to sign to IMG’s men’s board. Westling will now add to that legacy. According to CNN, the redhead has already made his return back to the industry, shooting a yet-to-be-revealed cover of a “major fashion magazine.” Westling also said that designers he has worked with in the past have promised to stick by him — his agents have too. Westling continues to be represented by The Society as well as Elite London with an updated photo and name on both sites. "We'll have to see how this story takes to fashion and how everything takes," he said. "I'm not worried about it. I think it's going to be a good change and I'm excited for it. I'm really, really excited."